Sports Insurance Solutions can provide General Liability and Accident Injury coverage for participants in Baseball leagues.We have a programs to meet all the needs of a baseball league small or large. 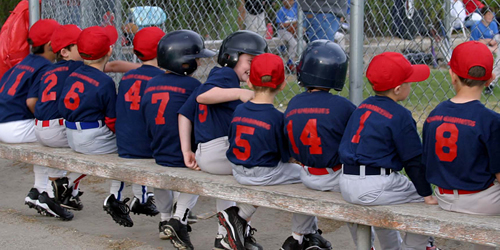 This program provides General Liability and Accident Medical coverage for youth baseball and T-ball teams and leagues. Coverage is included for games, practices,tournament participation, tryouts, fundraisers, and official team or league functions. Coverage for Abuse and Molestation is included if the required background checks are completed.Coverage for field ownership, maintenance of playing fields and hosted tournaments is not provided. Optional Non-Owned and Hired Automobile coverage and Inland Marine coverage for sports equipment are also available.